Have you ever wondered if your child is a “late bloomer” or if he/she has a language problem? We have all compared our child to other children at the park, cousins, or even older siblings. Since every child develops differently, we have provided some useful links that you can use to determine if your child is right on track or if you need to seek intervention. If you are concerned, then contact us at Rio Grande Therapy Group and we will be glad to help you through this process. This website provides answers to frequently asked questions, information on medical and developmental conditions and pediatric speech therapy. This is a resource for parents who have a child diagnosed with an Autism Spectrum Disorder (ASD). Gain some useful information and connect with other families. 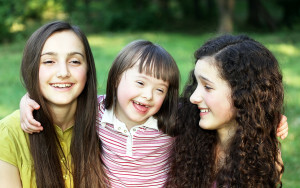 This is a great resource for parents who have a child diagnosed with Down Syndrome. Reach out to a community that is ready to help and listen. If you would like more information about what stuttering is, whether you’re a parent, teacher, SLP, or general physician, this site is user friendly and very resourceful. These are only a handful of resources available to you online to find new information or to connect with other organizations.